The Export Furniture Exhibition (EFE) 2017 concluded with a resounding success after an eventful four-day run from 8-11 March at the Kuala Lumpur Convention Centre (KLCC). The 13th Export Furniture Exhibition attracted 10,480 trade professionals from the furniture, interior design, and furnishing industries. 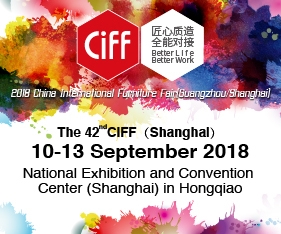 EFE continues to reinforce its position as an ideal business platform for the international furniture industry. The positive sentiments received on the show floor is a testament to visitors’ satisfaction over the quality content presented and their overall show experience, emphasizing the event’s increasing importance in the eyes of industry professionals. A Press Conference and signing of the MOU was held on 5 September 2017 at Kuala Lumpur Convention Centre. 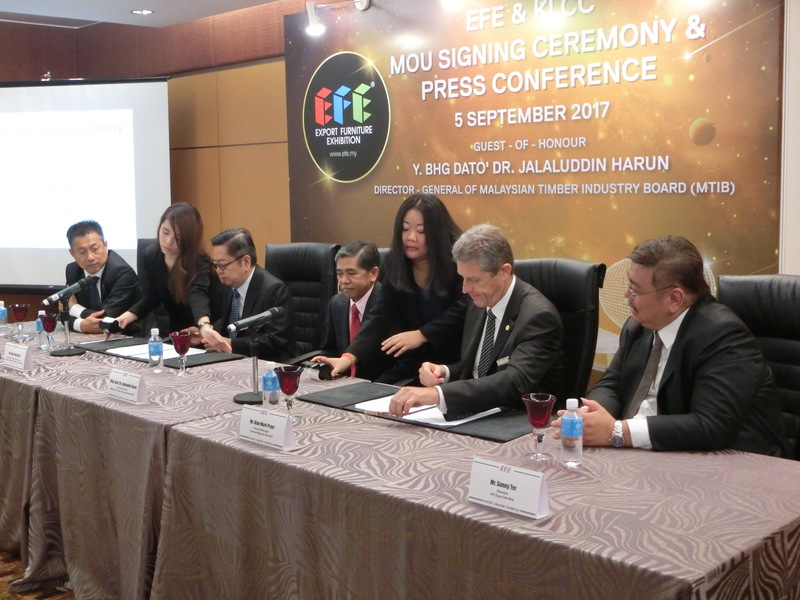 The Press Conference panel included Mr. Chua Chun Chai, President of the Malaysian Furniture Council (MFC) together with Chairman of EFE Expo Sdn Bhd; Y.Bhg. Dato’ Dr. Jalaluddin Harun, Director-General of Malaysian Timber Industry Board (MTIB); Mr. Alan Mark Pryor, General Manager of Convex Malaysia Sdn Bhd, Mr. Sunny Ter, EFE Board of Directors; Mr. Richard Ko, EFE Board of Directors and Ms. Sally Liew, General Manager of EFE Expo Sdn Bhd. The MOU event was signed by Mr. Chua and Mr. Alan Pryor witnessed by Y. Bhg. Dato’ Dr. Jalaluddin, Director-General of Malaysian Timber Industry Board (MTIB). In the MOU, a 3 years tenancy at KLCC from 2018 to 2020 for EFE exhibitions has been inked with a win-win situation for a mutually beneficial partnership, forging closer working relationship together and as partners in future developments. This augurs well for both parties. Moving forward, EFE Expo Sdn Bhd, plans to continue in this new direction and focus on curating a show that celebrates design, facilitates connections, emphasizes on experiences and continues to serve as an internationally-renowned sourcing platform. 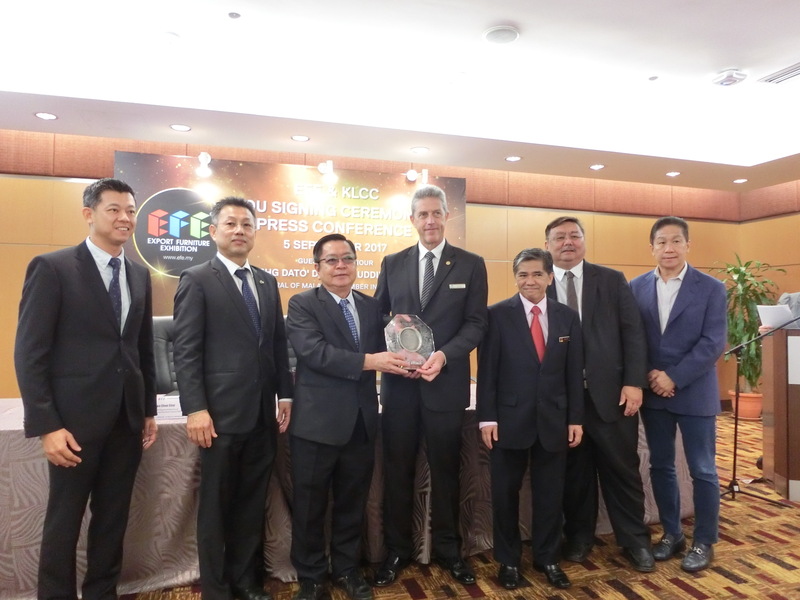 1.KLCC as EFE’s Valued Venue Partner for 3 years from 2018-2020. Home to EFE for the past 4 years, KLCC remains as one of the preferred exhibition centers in Malaysia. It has world class facilities, professional team, an integrated precinct in the heart of Kuala Lumpur next to the Petronas Twin-Towers. Conveniently located with efficient and accessible transport it is also located with 3,000 hotel rooms on site and 5,000 more within 10-minutes’ walk. In its drive towards serving the industry with the provision of a trade platform to encourage industry players to do export at an affordable price and to increase our nation’s export revenue, the organizers of Export Furniture Exhibition will continue in its endeavour to provide the highest level of event planning services and help grow the furniture industry and working closely with the government and its agencies to further increase furniture export and place Malaysia as one of the top five largest furniture exporting countries in the future. 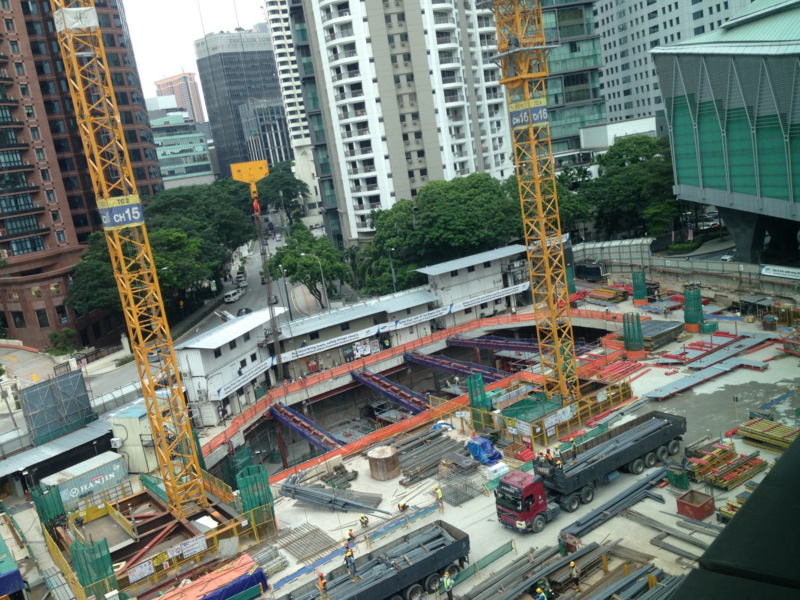 The Kuala Lumpur Convention Centre’s expansion is due to be completed in mid-2019. The extension will provide an additional 10,000 sqm of flexible and multi-purpose space, which means more room to comfortably accommodate larger exhibitions and international association meetings, as well as concurrent events, allowing new and current clients to grow their activities and/or events significantly. The mixed-use commercial development will enhance the Centre’s existing world-class infrastructure, grow Kuala Lumpur’s reputation as a premier business events destination and help attract more international events to Malaysia. Malaysia’s furniture export continues to grow with a sterling performance in 2016 with RM9.525 billion recorded. The government’s NATIP plan to achieve RM10.0 Billion in furniture export by year 2020 is on target and the industry players are confident the target will be achieved in year 2018. However, with the strong and encouraging performance by the industry, the government in its recent meeting has since revised its NATIP target to RM12.0 Billion in furniture export by 2020. 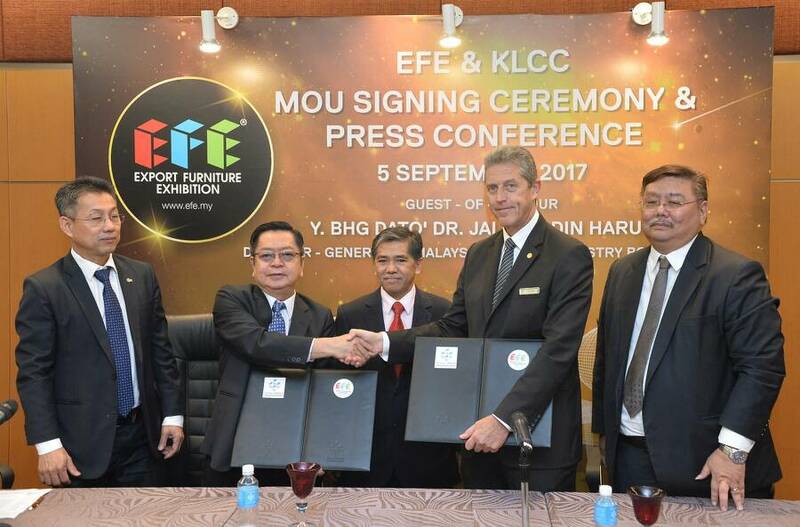 The Malaysian Furniture Council (MFC) and its signature event – Export Furniture Exhibition, have pledged to work hard to achieve the new target and are very confident the goal can be realized. Malaysia External Trade and Development (MATRADE). As a Board of Trustee in MTC and MTIB; MFC is playing an important role to bridge between the government and industry. As such, MFC is working very closely with MTIB, MTC and MATRADE. With the support of government agencies, MTIB’s support to making the successful ‘Professional Designers Programme (PDP)‘ and Tanggam in the last two editions of EFE 2016 and 2017 were met with overwhelming response and has branded Malaysian furniture designs the world. We are working with Malaysian Timber Council (MTC) on how to attract market Malaysia Furniture to world and attract international buyers. In EFE 2017 we had organised MTC India Export Pavilion, SME Assistance Program, Buying Mission Program, etc. Hopefully, with the support and encouragement of Ministry of Plantation Industries & Commodities (MPIC); we can meet the NATIP RM12 Billion Furniture export by year 2020. Posted in Industry News and tagged EFE, KLCC, Malaysia, MFC. Bookmark the permalink.